In order to provide you with the best possible dental care, Dr. Maddox has accumulated over 2000 hours of post-graduate education. 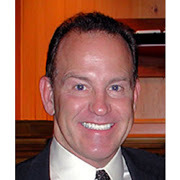 His focus is on helping his patients obtain healthy, functional, as well as beautiful teeth. He is a graduate of the prestigious UCLA School of Dentistry where his class was ranked top in the nation in graduate examinations.